Met up with a friend yesterday and realised I haven't posted this up.. 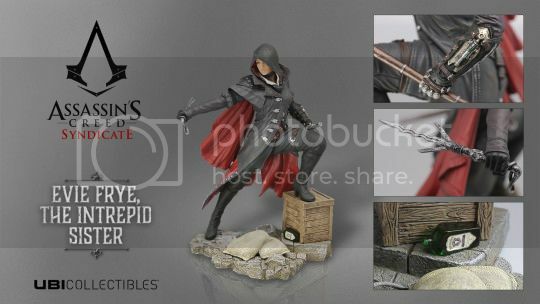 The UbiCollectibles' Jacob & Evie Frye Diorama! 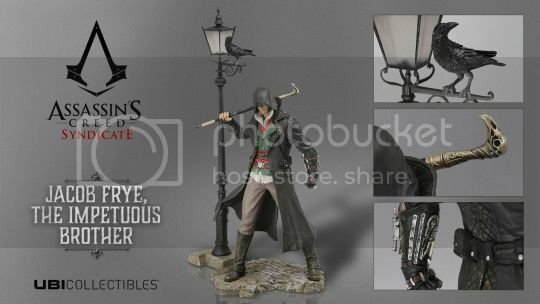 Similar to the AC IV's Edward & Blackbeard Diorama and AC Unity's Arno & Elise Diorama, UbiCollectibles once again releases a diorama for this year's AC Syndicate. It's a 2-statue set so collectors have to buy each separately and we can display them together or individually as we wish.. I'm liking this diorama a lot more than the previous two. I feel they make for a much better display than the previous ones with full view of both characters from 1 angle. 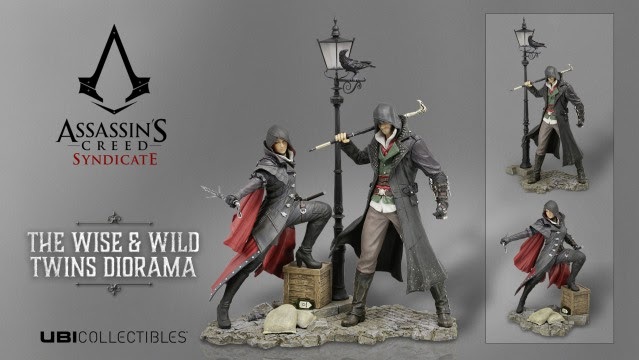 I'm hoping there's an exclusive litho offered in the UPlay store, similar to the one offered with last year's Arno & Elise diorama. Looking good, and the hype for AC Syndicate is building as we draw closer to its release!